Charming holiday home on a unique property on Lake Saimaa in Puumala, in the heart of the beautiful Lake District of Finland. Enjoy privacy in this south-facing property. 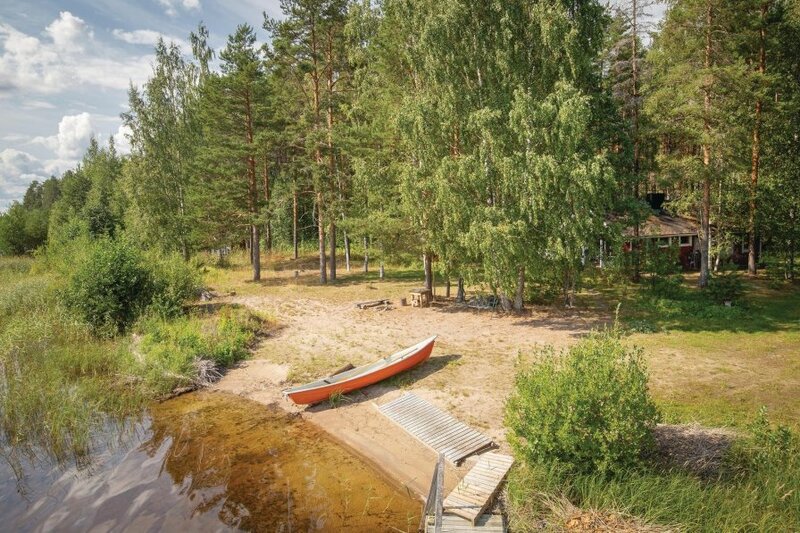 Charming holiday home on a unique property on Lake Saimaa in Puumala, in the heart of the beautiful Lake District of Finland. Enjoy privacy in this south-facing property, a beautiful sandy beach and a fireplace for grilling. The terrace is large. 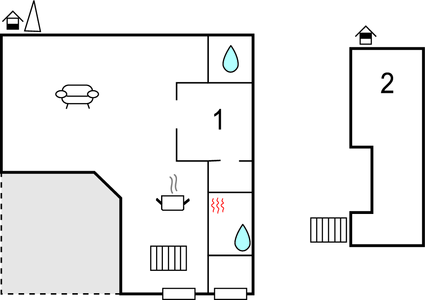 Downstairs bedroom and living room are open to each other. The sleeping loft is suitable because of its low ceiling and equipped with mattresses for children. From the terrace you come into the wood-fired sauna, where the shower is installed. The toilet in the house is electric (no hand columns). Spacious living room, well-equipped kitchen and a beautiful lake view from the dining table. Fishing with twill is always permitted, net fishing is not allowed in the breeding season, the ringed seal. A beautiful holiday home for a family of 4. This cottage is made from wood and was originally built in 1997 and refurbished in 2005. The agent has rated it as a three star property so it is a well-kept cottage, equipped with standard furniture. It is also good value for money. The cottageIt is located in Lake District, 77km from Mikkeli. It is set in a very convenient location, just 20 metres away from a lake. There's also a restaurant 5km away. The cottage has free wireless internet. You can also park on-site at no extra charge. The cottage is adequately equipped: it has a refrigerator and microwave. The property has a sauna; it also has some garden furniture outside.